Personalisation is a very common word thrown around in education these days but there seems to be hundreds of different ideas as to what this actually means. Today we had a focus on starting to define what personalisation means at Hobsonville Point Secondary School. We started the day watching a clip from Billy Elliott where he describes what dancing feels like to him and he uses words like free, flying and electric. Our task following this was to make a sculpture representing what we are like when we are “in the zone”. My effort is in the image at the top of this post. When I’m in the zone my arms are generally moving all over the place, I’m pacing the room and all one various ideas that float around my head are all fitting seamlessly together. Combined with this, when I’m in the zone in the classroom there is usually a combination of tools in use: hence the chalk, pens, book, laptop and iPad in the sculpture. In the zone for me means that I finally capture the essence of how different things fit together and find it really easy to explain this to others, usually in a very energetic way. The sharing of our sculptures was very entertaining as we saw others such as Claire and Sarah who described energetic zones like mine, compared to Lea in her bubble and Megan inside her box. It was a great example of how the same zone looks and feels very different for different people. 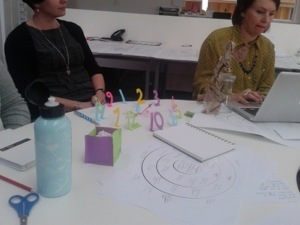 In the picture below you can see Megan’s sculpture on the left, Kylee’s confused clock showing how she loses track of time and Claire’s sculpture of her talking to a large group of people. 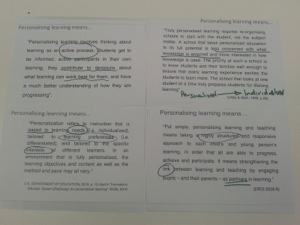 After this we moved onto an activity about what personalised learning means for us. Initially on our own: where students can work on their own learning tasks at their own speed; then in pairs where Sarah and I turned out: Co-creating learning opportunities based on individual needs, interests, abilities and context, with students completing this at their own pace. As we shared these definitions there were a lot of similar words popping up: needs, context, co construction; which was a good sign a shared definition was beginning to emerge. We talked through these in pairs seeing what we liked and what we agreed with and then had to rank them. The whole group discussions around these rankings was great to deepen our understandings but also highlighted how some people preferred vision statement definitions whilst others were looking for definitions based on practices that students could also relate to. 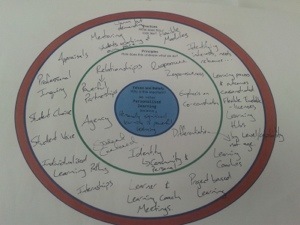 A group sharing of our circles showed that there were clear overlaps in our understanding of which principles and practices supported personalised learning. These will be combined to be reviewed again shortly. Once again, the clear theme of today is that by keeping the question of “Why is this important?” central to our work, we are creating a strong shared vision of what learning at Hobsonville Point Secondary School should be like. 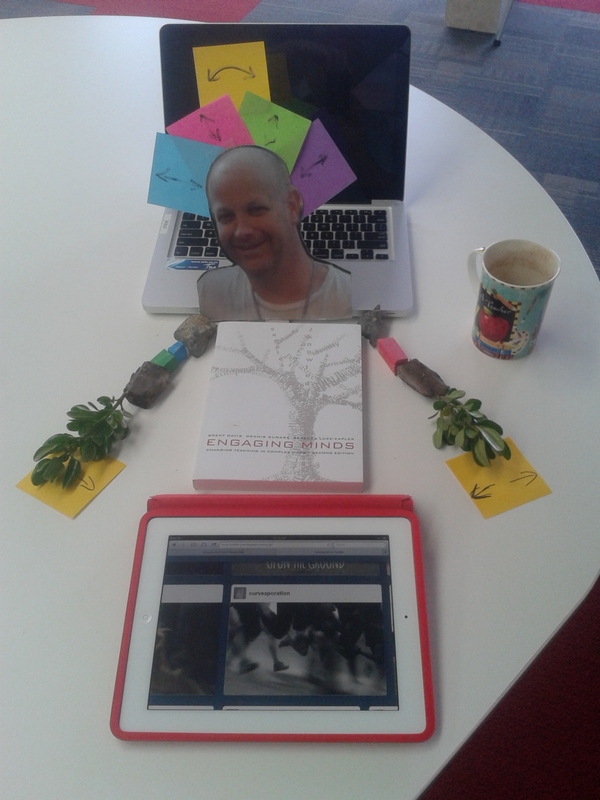 This entry was posted in Uncategorized and tagged Personalisation, personalised learning by stevemouldey. Bookmark the permalink.